Another good trip trolling along the beach front yesterday. We ended up with a total of 16 stripers with 8 decent size keepers up to 25 lbs plus plus some action on slammer blues. 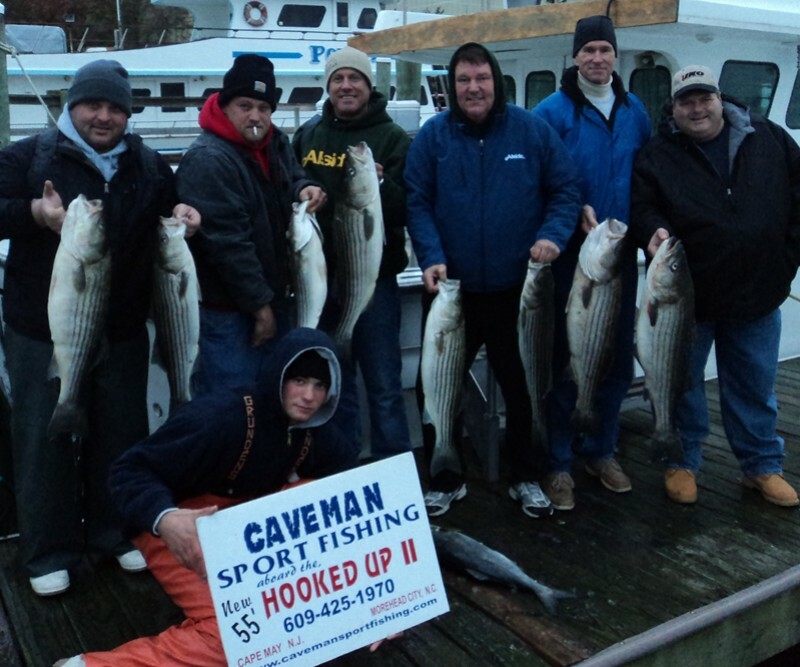 This is the second trip in a row that produced steady action on stripers with a few slammer blues mixed in. We heard that some nice fish were also caught chunking today on the Delaware Bay and possibly after the big blow the next few days we will see more large trophy stripers caught chunking the like last fall. On all our trips we are set up to either troll or chunk depending on what will we feel will produce the best striper catch. Out next open date is December 2 and are available for a regular 8 hour charter or possibly an open boat trip for up to 6 anglers. We do have open dates after December 9th and plan on running some open boat trips on those dates when we do not have regular charters and will announce the dates on the Bass Barn open boat forum. We will run for stripers as long as they are around and hopefully that will be right up and through the holiday season.